App development continues to remain a very lucrative business. Building a great app is fun, but you also need to put some effort into promoting it. Setting up an attractive online presence or landing page for your app would certainly help. Delicious happens to be a professional app landing page with a responsive design, 3 color options, and LayerSlider integration. This theme has 3 custom widgets and a shortcode generator. It also has 4 blog post types. It is powered by the Vafpress Framework. 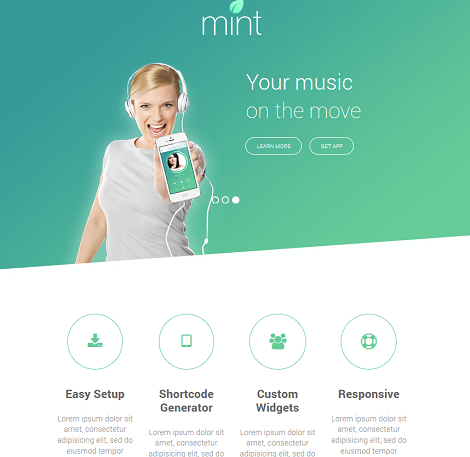 The theme has 3 colors: mint, ice, and cherry. You could always customize things further with CSS. You can use the theme to set up a mini portal for your app, allowing your visitors to see all the useful features, videos, and reviews or even contact you with questions. 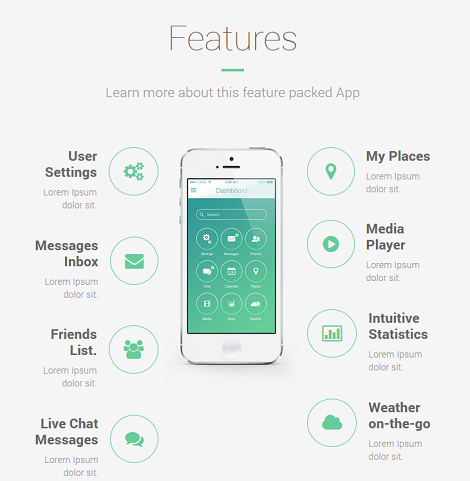 Delicious has a modern design and helps you put together a landing page for your app. This is a premium theme by an Elite author.